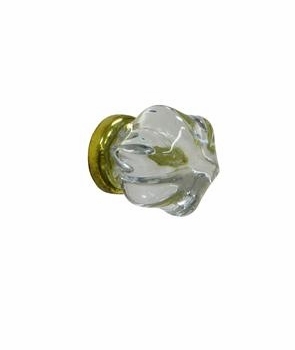 Add a touch of antiquity to your child’s nursery by adding this glass knob with gold post to the cabinets and drawers. Perfect to complement the furniture items in the nursery, this knob with gold post can be cleaned with a mild soap solution to preserve its sparkling appeal for the long time. Dimensions - Width: 1 1/2" , Depth: 1 1/2" , Height: 1 1/2"